Not the Scandinavian crime drama, but a bit of a drama for me to drive across it at the start of my visit to Halifax, Nova Scotia! When I was asked by Canadian Tourism Commission to visit Nova Scotia, I was told that I would see much more if I was prepared to drive, so I said YES, I've never driven on the right side of the road before so it was quite a dumb bold move for me! I arrived at Halifax Airport, after an uneventful flight and, with some trepidation, and crossed over from the terminal to the ground floor of the car park to collect my hire car. 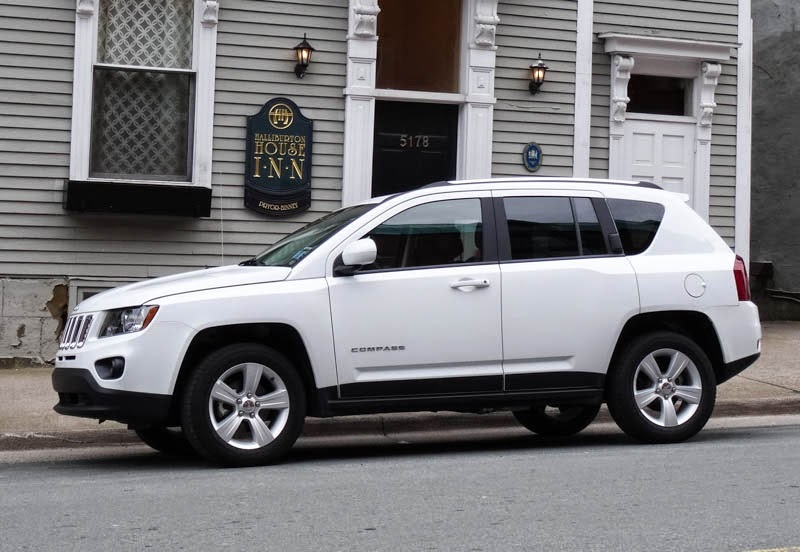 The staff at Dollar Thrifty couldn't have been more helpful and, because I had never visited before, and they wanted me to 'see as much as possible' they upgraded me to a Jeep SUV with only 5K miles on the clock. They also helped me set up the GPS (Sat Nav) to head to the Halliburton Hotel in downtown Halifax. Excellent service. I knew I had to cross the bridge and had my 'Loonie' (Canadian 1 Dollar coin) ready for the toll. 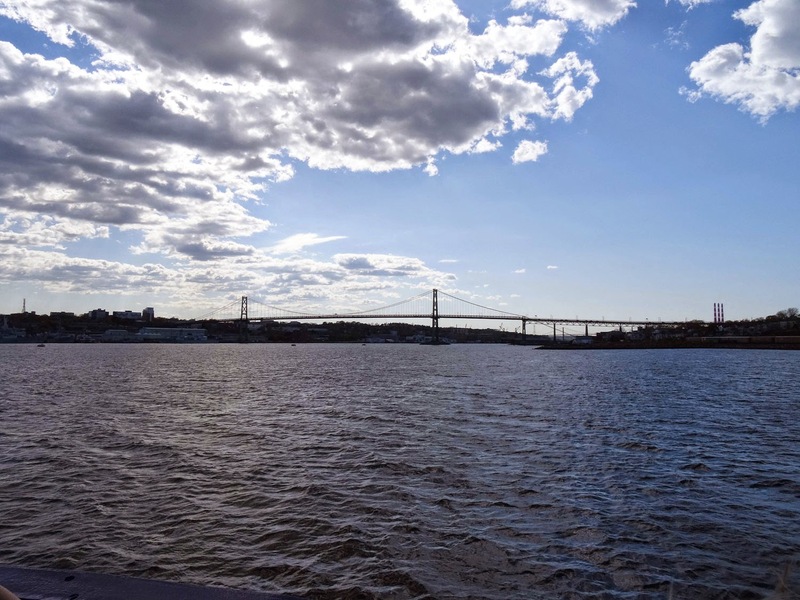 The bridge in question is the Macdonald Bridge, locally known as “the old bridge”, is a suspension bridge crossing Halifax Harbour and connects Dartmouth and the Halifax Peninsula in the Halifax Regional Municipality. It is named after the former premier of Nova Scotia, Angus L. Macdonald, who was instrumental in having the bridge built. I crossed the old bridge a total of 5 times, and the new bridge twice, in the week I was in Nova Scotia. I made it over the old bridge, and other than a wrong turning when I missed the off ramp (quickly corrected by GPS), I found myself in Morris Street, outside The Halliburton. Okay, I know it should be the Bison next but The Bridge, the Four Poster Bed and the Bison just didn't scan! 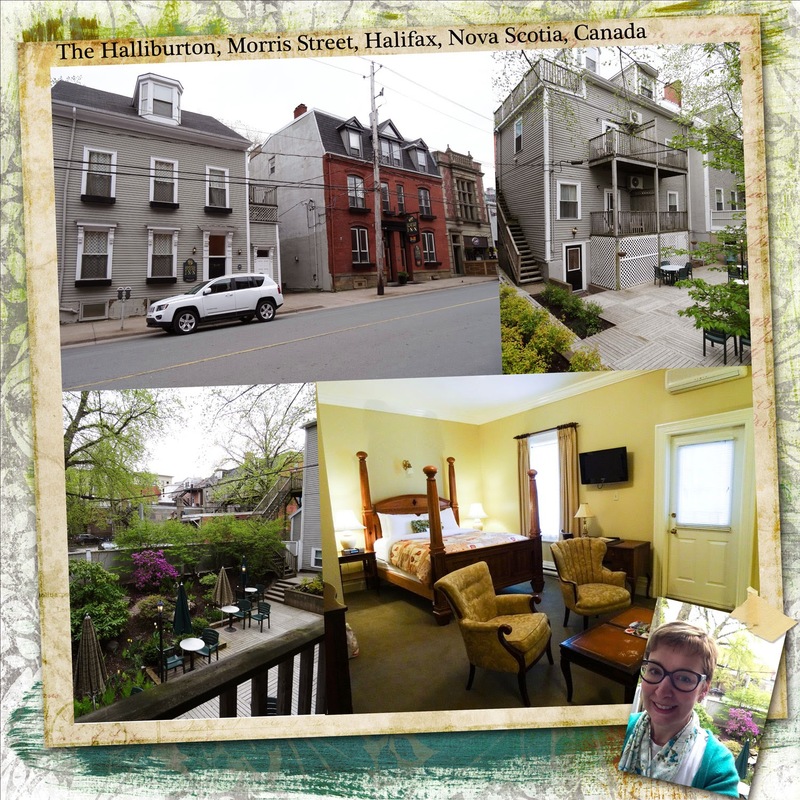 The Halliburton is Halifax's Historic Boutique Hotel located in downtown Halifax within walking distance of the waterfront and the many restaurants. The Halliburton was built in 1809 as the home of Sir Brenton Halliburton, the first Chief Justice of the Nova Scotia Supreme Court. From 1885-1887, the building served as Dalhousie University's prestigious law school. It's an unusual set up as the hotel is in two houses, my room was in the house on the left, Stories Restaurant is in the reddish house on the right. There was parking for residents at the back of the hotel and this led in to a pretty courtyard, there was also access to the restaurant from the courtyard. You could pretty much come and go as you please as you have a key for the outside door as well as your own room. My room also had a little balcony where, had it been warm enough, I could have sat out and had my coffee. The room was furnished with antiques and reproduction furniture giving it a warm and homely feel. The chairs and sofa were comfortable and the free wifi was fast and reliable. I loved the four poster bed and I slept well after my journey. The Halliburton also had the best, in room, coffee machine and coffee of all of the places I stayed. 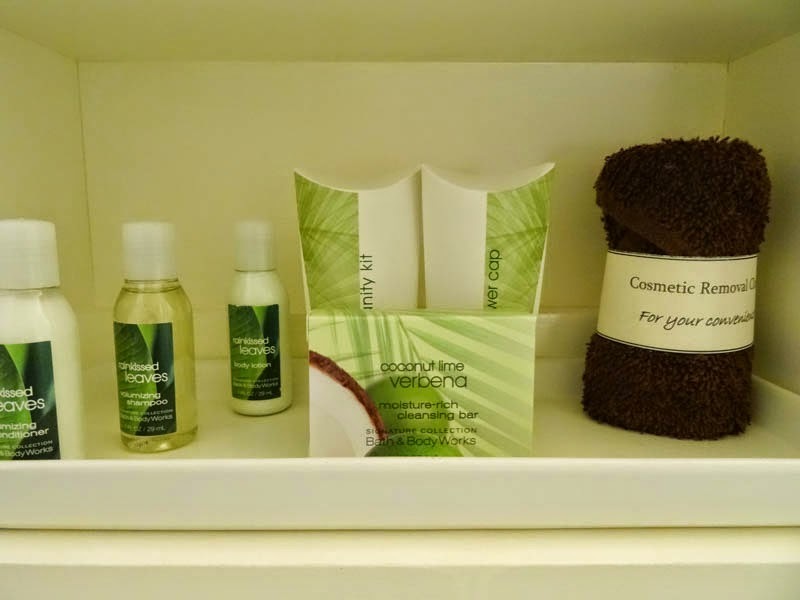 They also had some of the nicest bathroom products, the soap was particularly lush and the dark brown flannel for 'Cosmetic Removal' just genius! 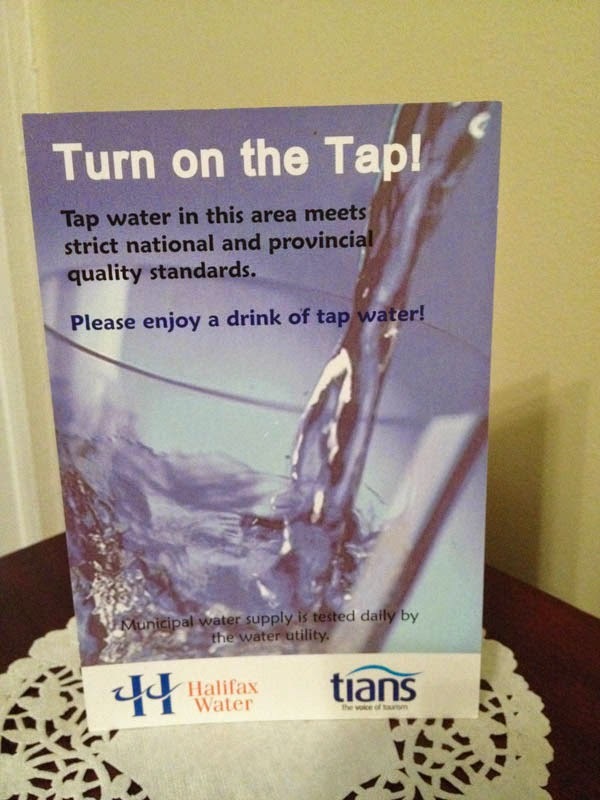 The Halliburton was the only place I saw one of these little signs, no bottled water here and another really interesting and quirky aspect to this boutique hotel. 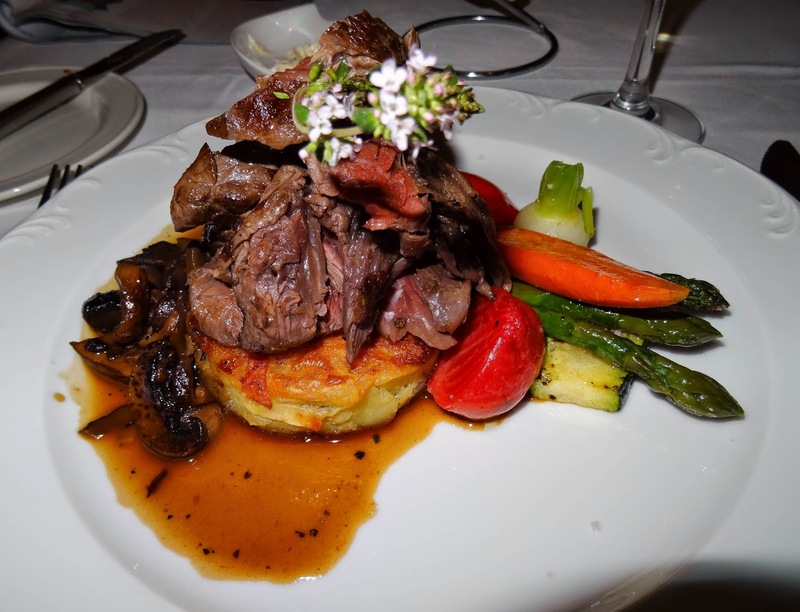 I dined at Stories Restaurant at the Halliburton, who pride themselves on their relaxed fine dining and use of local ingredients. I perused the menu while munching on some delicious bread, there were two types of butter and I couldn't quite work out what was in the flavoured butter. It turned out that it was just butter which had been reduced down and the little bits were the scrapings from the pan, it tasted delicious. I was torn between the House charcuterie, the sea scallops and the crab cakes, but in the end opted for the crab cakes. 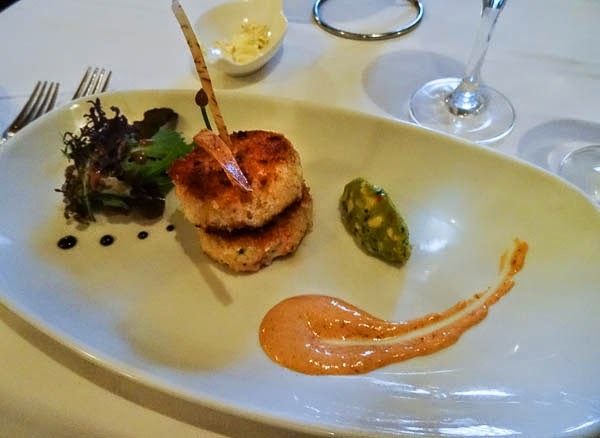 The crab cakes were sweet with nice chunky pieces of crab, the avocado made a nice creamy contrast and the smoked jalapeno lime crema was very lightly spiced, personally I would have preferred a little more kick. Again I was torn, should I have the guinea hen or the bison? I reckoned I would be unlikely to have the opportunity to try bison again so that was my choice. Isn't that a beautiful plate of food? I had my Bison steak medium rare and it was very tender. The flavour was similar to beef steak, you would have been hard pushed to tell the difference however it is very lean. The potato and parsnip pave was crisp on the outside and meltingly tender inside, but the stars of the dish were the vegetables, baby beet and turnip, courgette, asparagus, red pepper and carrot, each vegetable had retained it's individual character and flavour. The beet and turnip had been slightly pickled with white wine vinegar, giving a piquancy that cut through the richness of the meat. The mushroom ragout had a depth of flavour that worked well with the steak. The staff were very knowledgeable about the menu, friendly and welcoming, even offering me a magazine to read as I was eating alone. This is the first in a series of posts about my trip to Nova Scotia, you can follow me on Twitter: @FarmersgirlCook, Facebook: Farmersgirl Kitchen Instagram: FarmersgirlCook and the Pinterest Board Atlantic Canada Eats which I share with Lavender and Lovage. You can also follow the hashtags #AtlanticCanadaEats #VisitNovaScotia and #ExploreCanada to see photos and posts on all of these social media sites. Digital Scrapbook papers and elements by Sherwood Studios, Cottage Arts and Maya de Groot. Well what can I say? You clearly had a wonderful time and the food and hospitality look and sound incredible. What a fantastic opportunity. I've never really thought about Canada as a destination before but this trip you guys were on really does look quite spectacular. Wonderful post and memories you'll have for years! I remember those bridges very fondly. I had to walk across the new bridge twice a day on my way to/from work in the city of Halifax from my home in Dartmouth. I started walking instead of taking the bus because the bus had gone on strike for a month and I couldn't afford the taxi to work, and I ended up that fit I just kept walking after they decided they'd go back to work! 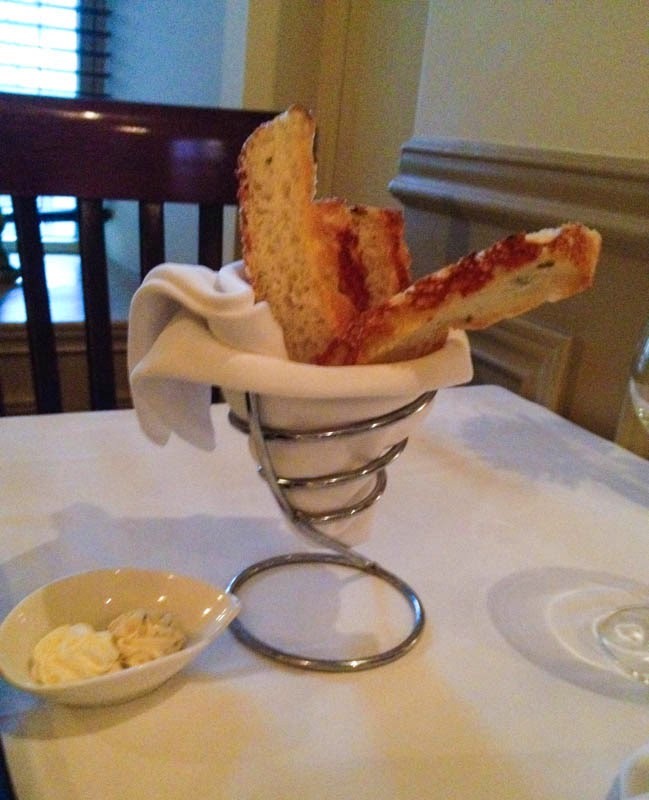 The food looks absolutely delicious - looking forward to your next post in the series! Thanks Dom, I've always wanted to visit Canada but probably wouldn't have thought of this area, however it is a brilliant destination and well worth a visit. The bison looks really rather good...is it farmed or wild? Oh that bridge and that four poster bed. It is amazing. I really really want to go now. What a trip Janice and a fab place to visit. You must have some great memories from it. I am looking forward to hearing more. My partner is from Dartmouth and I can't help but feel he's been hiding some of these these gems from me! Time for another trip I think! What an adventure Janice. That was very brave of you taking a car, but I can imagine it made life a lot easier in some respects. Looking forward to hearing the next episode.